Killarney International Raceway is proud to welcome Wingfield Motors for a record sixth year as the title sponsor of our regional motorsport championship, the Power Series sponsored by Wingfield Motors. Wingfield Motors is also the title sponsor of the two Killarney rounds of the national Extreme Festival series, as well as supporting the World Rallycross of South Africa event at Killarney International Raceway in 2017 and 2018. 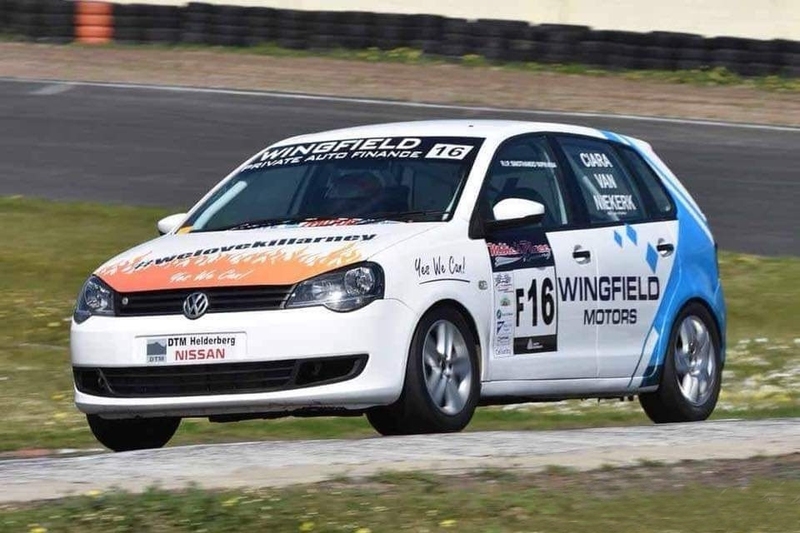 In addition, Wingfield Motors is also a sponsor of the Oval Track events at Killarney, organised by the Cape Hell Drivers, and a number of competitors in various categories and classes at Killarney. Wingfield Motors was established by John van Niekerk, a car enthusiast who first bought a fuel station and then began selling quality used vehicles on his forecourt. In May 1989 he and his father, Johnny van Niekerk, acquired Adrian Pheiffer Motors in Goodwood from Adrian Pheiffer, who was the first chairman of the Western Province Motor Club, which operates Killarney International Raceway, thus forging a connection that endures to this day. Today Wingfield Motors has branches in Goodwood and Kuils River, together with Bestpriceformycar in Durbanville and Gesina, Pretoria, with a combined total of more than 550 vehicles on their showroom floors. Van Niekerk Senior was a well-known stock-car racing driver at Cape Helldrivers from 1969 to 1984. Uncle Johnny, as he is fondly known, instilled a lifelong passion for motorsport in his son, which has been passed on to his granddaughter, Ciara van Niekerk, who raced a Mini on the Killarney Oval for several seasons before making her main circuit debut in 2018 in a Volkswagen Polo. Wingfield Motors’ support of Killarney International Raceway goes much deeper than sponsorship. The Wingfield Motors Boma at the exit of Turn 3 is always a hive of activity on race days, crowded with guests as Van Niekerk shares his love of motorsport with friends, family, staff and customers, many of whom experience live motorsport for the first time at his invitation. It is that passion for and involvement in motorsport at Killarney International Raceway, the home of motorsport in the Western Cape, that makes Van Niekerk and Wingfield Motors such valued members of the Killarney family.